The World Series of Poker Circuit stop at Lake Tahoe, NV is winding its way to the Main Event. Through eight events, five events have been captured by Californians. Meanwhile, a legend of the game in California and Nevada earned his second career Circuit ring in this series. 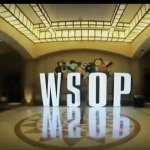 The WSOP-C Lake Tahoe stop kicked off last week with its typical 12 rings in 12 days schedule. Eight events have completed through Wednesday with the $1,675 Main Event to kick off on Friday. If you’re a mixed games player in either California or Nevada, odds are that at some time you have played Frankie O’Dell. Hailing from Henderson, NV, O’Dell has been a fixture in the Vegas and Los Angeles poker scenes for decades. He is a two-time WSOP bracelet winner and after Friday, he is now a two-time Circuit ring winner. O’Dell topped a field of 65 players to win Event #2, $365 H.O.R.S.E. to win his second career Circuit ring and $6,825. According to O’Dell, he only stopped in Lake Tahoe because H.O.R.S.E. was on the schedule. He decided to “see what happens” and ultimately walked away with gold. O’Dell is considered one of the strongest mixed game players in the world. He has two WSOP bracelets, both in Omaha Hi-Lo. His other Circuit ring is in Omaha Hi-Lo. Steve Foutty finally broke through for his first career Circuit ring on Sunday after winning Event #5. A couple of days prior, he made the final table of Event #3 but fell in fourth place. This time around, the Mill Valley regular bested a field of 171 players to win his first ring and $13,850. This win was huge for Foutty on multiple levels. Not only did it give him his first ring, but also pushed him over $100,000 in WSOP related earnings. According to The Hendon Mob, Foutty has earnings topping $200,000. Earlier this year, he took down the WPTDeepstacks Main Event in Turlock, CA. He also finished 19th in Event #4 of the 2014 WSOP, a $1,00 NL Event. The World Series of Poker Circuit has seen its share of champions and this week was no exception. Three women have taken down events so far this series but no win was bigger than Donna Delfin’s win in Event #7, the $365 Six-Handed NL Event. Delfin made it heads-up in the same event two years ago but fell short of the ring. This time around, she took the title but not without a bit of good fortune. She was all-in for her tournament life heads-up against Paul Kossluk with just a flush draw on the turn. Fortunately, she hit her flush to double-up into the chip lead and never looked back. This was Delfin’s second career ring victory. Back in 2012, she won a NL Event at Harrah’s Rincon in San Diego for her first ring. She said this victory was extra special because not only did she vindicate herself from her near miss a couple years ago, but also she won it on her daughter’s birthday. Two other women won events this week. Deva Crouch of Seattle, WA won Event #4, the $365 NL with ReEntry Event for her first circuit ring and $38,807. Debra Pulley of Camas, WA took down the $250 Seniors title. The non-ring event awarded Pulley $12,447 in prize money. Three other Californians took down Circuit rings this week. Sacramento real estate investor Earle Mankin won Event #1 after a grueling two-hour heads-up match against Tahoe resident Bob Donahue. Michael Murphy returned to poker this week after a three-year hiatus and won his second tournament back. He took down the Event #3 ring and $13,609. The Tahoe native used to be a regular but once a close friend moved away, he lost the desire to grind. This win could help rekindle a love for the game. Event #6, a $365 NL Hold’em Event, went to 29-year-old San Jose construction worker Daniel Aran. He survived a field of 194 players to take the ring and $15,132 in prize money. This was Aran’s second career ring. His other came at the same property in 2011. Originally a semi-professional player, James transitioned to the media side in 2008. Since then he has made a name for himself reporting for some of the top names in the industry. When not covering the poker world, James travels around central Virginia hunting for antique treasure.